Stunning. Eraserland, the new album by Timothy Showalter’s Strand of Oaks, is simply stunning. Acoustic introspection and full-throttle riffs. This is such stuff as indie dreams are made on. And the most remarkable part is that it was nearly never made. For in late 2017, following some disappointing reviews of his largely disappointing previous album, Hard Love, Showalter was having a crisis of musical confidence. Having progressed in relatively short order from acoustic strummer to electric shredder, where was he to go now? Back to the acoustic future? Luckily, Carl Broemel and some other My Morning Jacketeers were around to help resolve the dilemma. Giving Showalter the confidence to start writing again, the result is Eraserland. With its gentle introductions, this is a place of intense introspection. But with its raging crescendos, this is one that sounds gloriously alive too. And there’s more than a little wisdom on hand. “If you believe you can be loved, You’ll outlive your past”. With some help along the way, Timothy Showalter has shown that it’s possible to overcome adversity and create something new and magnificent. Something stunning. Eraserland. 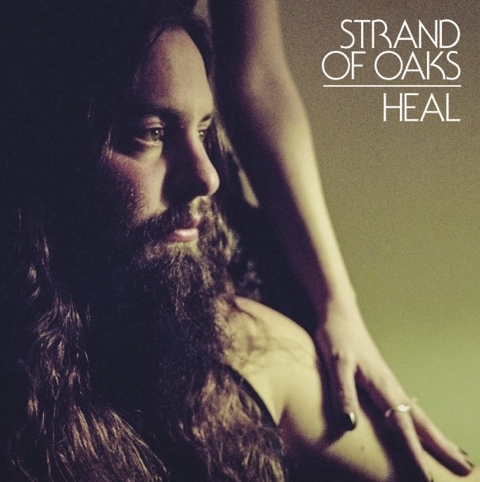 Strand of Oaks’ previous album, HEAL, marked the final instalment of Timothy Showalter’s transformation from the shy indie folk artist of Pope Kildragon to the muscular, tattooed, angry-sounding noise maker of ‘Goshen ’97’. In fact, the change in style was so profound that it raised the inevitable question ‘what could possibly come next?’ A ten-track homage to Mickey Rourke? A concept album about WWF? ‘Hard Love’ provides the answer. In some respects, things have been toned down a little. There’s a quiet piano-led ballad, ‘Cry’. And on songs such as ‘Salt Brothers’, there’s a reminder of the distinctively fragile quality that Showalter’s voice can have, something which had gotten a little lost over time. That’s not to say there isn’t a fearsome aspect to some of the sounds. ‘Everything’ being a case in point. But this time the energy tends to be channeled to a Springsteen-like end, with ‘Radio Kids’ sounding like it was born in the early 1980s, while ‘On The Hill’ is a truly great workout. With Hard Love Timothy Showalter has found a sweet spot between the fey indie artist at an open mic night in a university town and the hard-living, loud-playing ’70s rock ‘n’ roll star. For the listener, it’s a good place to be. Hard Love it might be, but it’s his best album yet.